Dawn will help you but you need to have the Pachirisu card. Once you have the Pachirisu card, she will call over 2 more and each of the other ones will do 70 damage. 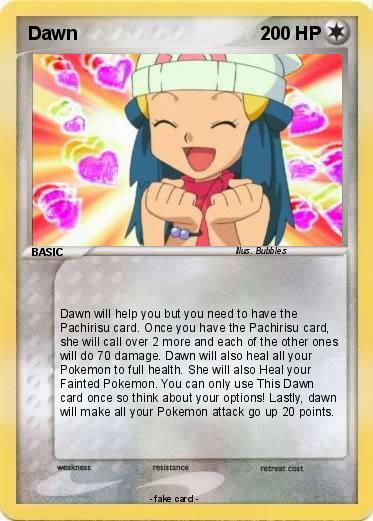 Dawn will also heal all your Pokemon to full health. She will also Heal your Fainted Pokemon. You can only use This Dawn card once so think about your options! Lastly, dawn will make all your Pokemon attack go up 20 points.